The invading Turkish army and allied gangs attacked the liberated villages in Shehba and Efrîn, Rojava the night before. Artillery attacks by Turkish troops and gangs under their command targeted Mirenar, Fîlat, Qetma, Qestelcindo villages in Shera and Cilber and Îska villages in Sherawa region of Efrin. Erfad (Til Rifat), Minix, Şêx Îsa and Bilûniyê areas, liberated by and under control of Revolutionary Forces (Jaysh al-Thuwar), were also among the targets of the attacks on Shehba region. 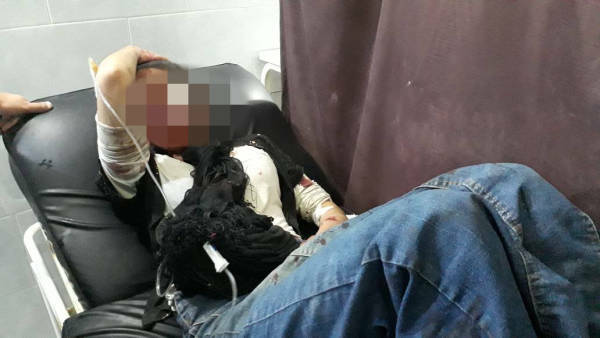 The artillery attacks left 4 civilians, including a woman, wounded and these were taken to the Avrîn Hospital in Efrîn for treatment. The Turkish army and affiliated gangs have also intensified their attacks on Yazî Bax and Kefranton villages in Shehba region. Dozens of cannon balls have hit both villages at around 03:00 last night. The attack left 3 civilians dead and 4 from the same family wounded, who were taken to the Avrîn Hospital. According to the hospital sources, the wounded civilians are in critical conditions. Civilians killed in the attack are: Xezala Yûsiv (40), Mûawiya El-Yûsif (13), Tebarîk El-Yûsif (13). Civilians wounded in the attack are: Xensa El-Yûsif (18), Rinda El-Yûsif (23), Fîdaa El-Yûsif (19) and Aya El Yûsif (16). The Kefranton village in Shehba region had been cleared of Jabhat al-Nusra gangs in February, 2016.